Phillip Becker joins Experic with over 30 years of experience in the field of information technology. 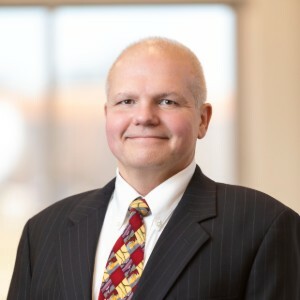 Before heading Experic’s IT department, Phillip served as Vice President of IT at AccuLogix (currently ThermoFisher) where he was Chief Architect & Developer of the first, truly integrated 21 CFR Part 11-complient Electronic Batch Record in the pharmaceutical supply industry. Prior to AccuLogix, Phillip led Clinical Trial Services (currently Almac) as Chief Architect & Director of IT. Here, he developed the industry’s first web-based reporting software & integrated solutions. Later, he also took on the role of Director of Global Application Development for Galen Holdings PLC where he managed all application developers worldwide and architected and managed the development of business system lifecycles that pass all regulatory audits of the pharmaceutical industry. Before joining CTS, Phillip worked at various technology firms over the course of fifteen years in the design, testing, and manufacturing of integrated circuits, rising to the level of Principle Engineer. Phillip earned his BS in Computer Science from Alvernia College and his MBA from Alvernia University. He is a member of Alpha Sigma Lambda, Alpha Epsilon Lambda, and Delta Mu Delta honor societies.